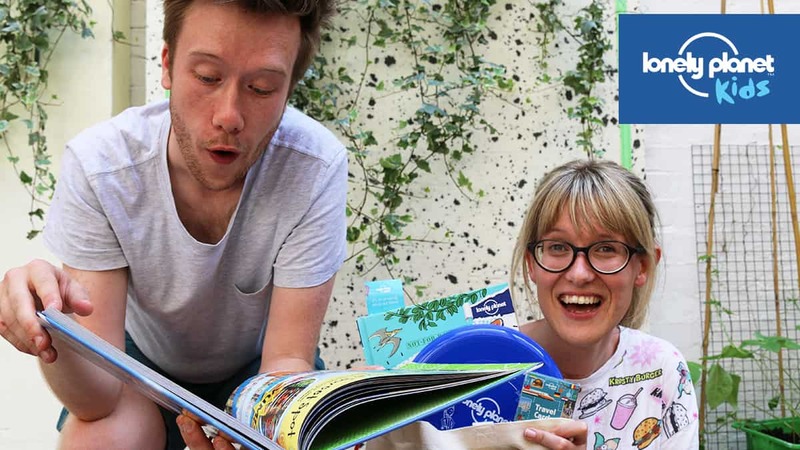 Win a Lonely Planet Kids goodie bag with the Fun Kids Epic Roadshow Adventure! If you didn’t know, Bex and Dan are heading to the Edinburgh Festival in August and they’re throwing the biggest radio roadshow ever! It’s called the Fun Kids Epic Roadshow Adventure and it’s a huge comedy show that you help shape. Now, every person that goes to the show is going to get a goodie bag packed with Fun Kids colouring sheets and even some Lonely Planet Kids World’s Strangest Series samples! But one special person per show will walk away with a huge load of books thanks to our buddies at Lonely Planet Kids! And 20% off further Lonely Planet Kids books! Hi Dan and Bex! The show was really epic!! !